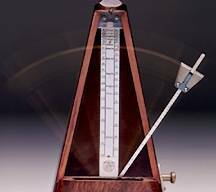 The Men’s Acappella Chorus of Cache Valley will be having their Christmas concert at Why Sound on Dec 15, 2012. Please read for further details. 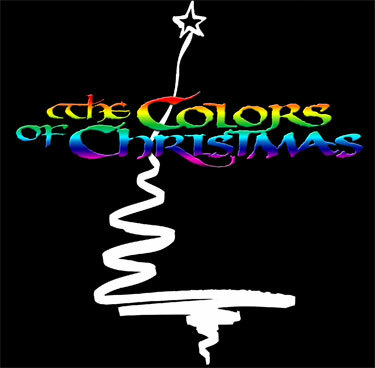 The Men’s Acappella Chorus of Cache Valley will be performing “The Colors of Christmas” at Why Sound Venue on Saturday, Dec. 15, 2012 along with the acoustic group “Alarmingly Charming”. We have been planning on this concert since August and we are excited to present the music we have been working on. Price: There will be a cover charge of $6 AT THE DOOR to cover the expenses of Why Sound setting up the equipment and letting us use the venue. The Men’s Acappella Chorus of Cache Valley will be part of the live music for the 2013 Logan Summerfest. This is a great opportunity to enjoy a musical art form that has been preserved since the early 1900s. Please go to their blog and read their announcement. Come join us on Friday, June 14 as we perform as part of the Logan Summerfest. This is a FREE performance. Bring your family, bring your friends, bring your 4th cousin, twice-removed. Bring everyone!!! The Ellen Eccles Theatre in Logan, UT has been under a bond for over 20 years. There have been various parties, including Cache County, who have worked to pay off this bond. These parties saw the value of the theater and the potential it had for bringing in artistic groups to enrich our community. The theater has faced various issues and successes repaying this bond throughout these 20 years, such as this: http://bit.ly/Yo4yPm and this: http://bit.ly/XRPg3c. For more past news on the theater, please visit http://www.centerforthearts.us/news.html. I began performing in the theater during my years at Utah State University as a member of the USU Chamber Singers and the USU University Chorale. I have had even further opportunities to perform there with the American Festival Chorus and the American Festival Singers. I cannot remember, but I would not be surprised if I attended various events at this theater while growing up in Northern Utah. I would imagine that I attended at least one musical. Since moving to Cache Valley in 2004, I have attended plenty of events at this theater ranging from stand up comedy by Brian Regan to operas and musicals. While my budget does not always allow me to attend everything I wish I could at the theater, I am very appreciative that we have this icon in our community. I can only hope that I progress enough in my profession to garner a large enough salary to allow for more of these entertainment opportunities. This news of the theater being paid off is great for Logan City funding and for all Cache Valley residents. I, personally, am very appreciate as well for the RAPZ tax that has helped to pay off this theater. Yes, it is a tax, but I feel it has helped preserve the uniqueness of this community. I am eager to perform with the American Festival Chorus and American Festival Singers in future appearances at the theater. And I can only hope that the Men’s Acappella Chorus of Cache Valley progresses throughout the years to be able to warrant a performance in this theater as well. The Cache Valley Fun blog recently posted an article about our Men’s Acappella Chorus of Cache Valley and how we’ve progressed over our first year of existence. Give it a read! Ben Burt has tried to start different singing groups in the past, but for one reason or another they failed. In May he helped to start the Men’s Acappella Chorus of Cache Valley. He said he finally feels that he has a dedicated, enthusiastic group of singers and some momentum. The group has seven scheduled performances in the month of December alone. Burt said that a challenge for starting groups like this is finding enough singers. One of the reasons he said he has been able to recruit singers is because of the people he met when he joined the American Festival Chorus. Cache Valley Fun (blog) has posted a nice write-up on the upcoming American Festival Chorus Christmas performances. Give it a read! The American Festival Chorus and Orchestra will present its annual Christmas from the Ellen Eccles Theatre concert this Friday and Saturday in Logan. This year the concert will feature violinist Jenny Oaks Baker and singer Alexandria Sharpe. Sharpe and Baker will perform with more than 300 musicians in front of a sold out crowd. Debut performance of Men’s Acappella Chorus of Cache Valley a success!!! Please click on the link to read the review above. I am so impressed by my fellow singers in the Men’s Acappella Chorus of Cache Valley. Our debut performance was a great hurdle to get over. It helps us keep something driving us in our rehearsals. It is a milestone that needed to be reached. Our acappella group has been so much fun for me. And other chorus members have expressed similar sentiments. They say how even if we don’t have many people asking us to perform that they have plenty of fun just in rehearsals. And I agree, it is a LOT of fun to get a group of men together and sing without any instrument accompaniment. When those chords lock in, it brings a tingle to your whole body. I’ve literally had goosebumps during some rehearsals. I hope the other chorus members know how appreciative I am of their dedication and their support. I love hearing comments from audience members after a performance. I love seeing their faces as they say how much they enjoyed the performance. Their smiles when they describe how glad they are that we performed a specific song. Singing music is a service. While we do sing for the sheer enjoyment of singing ourselves. We also sing to share music with others. Music can change the outcome of a day. It can brighten attitudes. It can leave lasting impressions. It can motivate. And we love it when our music has touched those we share it with. 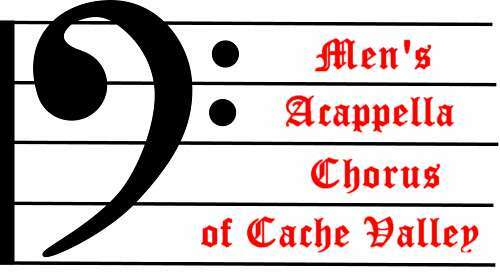 I am excited to start working on new material with the Men’s Acappella Chorus of Cache Valley (MACCV). We will begin preparing for Christmas concerts in December and we will also work a few new pieces to add to our repertoire. Thanks again to those who attended our debut performance! The Men’s Acappella Chorus of Cache Valley had their debut performance Sunday night, July 22 in the Kent Concert at USU. The Men’s Acappella Chorus of Cache Valley (MAC) will have their first chorus performance as the intermission feature for the Utah State University Alumni Band on July 22. Location: On the Quad field behind the Old Main building at USU. Parking: Parking will be available to the south of the Old Main building. Bring folding chairs or camp chairs to set up on the grass. The concert will last roughly 90min. Come VERY early for the best seating as Logan City’s summer citizens are usually the first to arrive. which group names you prefer. Local men quickly showed their interest and we had our first rehearsal at the beginning of May. We have now been rehearsing for almost two months. Before we schedule performances, we would like to settle on a group name. Now, we are planning on organizing a smaller sub-group of this larger acappella group hopefully in the near future. So we potentially need two group names. It has been proposed that the name for the larger group be a generic name such as “Men’s Acappella Chorus of Cache Valley” – meanwhile reserving the more specific name for the small group. Let us know what your thoughts are on this. A survey has been created to gather votes from our fans on which group names they prefer. 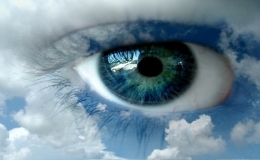 Please visit this survey and give us your preferences: http://bit.ly/LuZ0h4.